Cochin Shipyard Limited has released Notification for the Post of 50 Ship Draftsman Trainee. Application are invited from interested and eligible candidates. Candidates can apply through Online from 17.04.2019 to 02.05.2019. 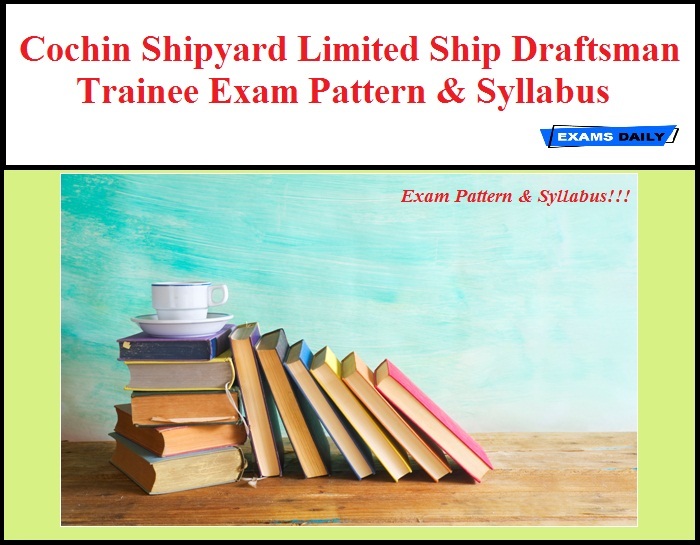 Here We given Exam Pattern, Syllabus for Ship Draftsman Trainee Exam. It is very useful for those who are preparing for Ship Draftsman Trainee Exam. Candidates can download Syllabus from the below mentioned links. General scientific and technological developments etc.